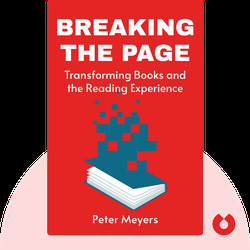 Breaking The Page (2014) explores the new possibilities ebooks offer to readers. 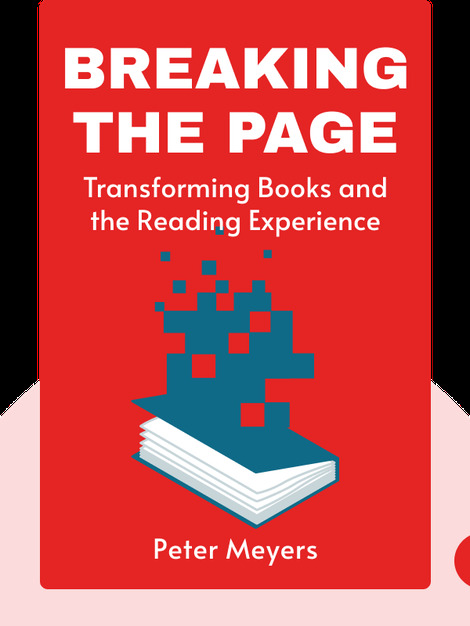 Throughout these blinks, you’ll learn about the differences between traditional books and ebooks, and why we need to rethink what a book is in order to make the most of the powers of the digital wor(l)d.
Peter Meyers has written for the New York Times, the Wall Street Journal, Wired and the Village Voice. He founded the company Digital Learning Interactive and is a pioneer in multimedia textbook publishing.